Result: Gilles Muller defeated Denis Shapovalov by 7-6(7), 7-6(6). An excellent match was witnessed between Gilles Muller and Shapovalov in which both the sets came to a tie-breaker. Both the players looked confident with the first set coming to a tie-breaker when the score was equalized 6-6, and eventually won by Gilles Muller. Gilles Muller ends his 5 matches losing streak to beat Denis Shapovalov 7-6(7), 7-6(6) in Queen’s R1. 3rd consecutive loss for Shapo, 0-2 on grass. In the second set, the crowd witnessed the exquisite performance from both the players as they were again chasing each other at a fast pace. Soon this set also came to a tie-breaker after the score became equalized 6-6. with Giles again winning the set as Denis lost some points on his serve. 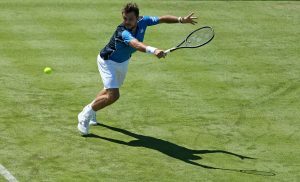 Result: Stan Wawrinka defeated Cameron Norrie by 6-2, 6-3. Stan Wawrinka took a great start and after about 30 minutes the lead was 5-2. Cameron Norrie failed to chase Stan and lost the first set by 6-2. The second set was a decisive one for Cameron because if he lost this set, he would be out of the championship. Stan again took the lead with the score at 4-2 being to his advantage. Cameron struggled hard but failed to recover and lost the second set too. Result: Kyle Edmund & Neal Skupski defeated Ryan Harrison & Grigor Dimitrov 3-6, 7-6(2), 10-3. Both the British players, Kyle and Neal, took the lead in the first set. Soon the score was 3-3 but eventually Grigor and Ryan won the first set by 6-3 after some good combination shots. In the second set Grigor and Ryan took the lead and soon the set score was equalized 6-6. Kyle and Neal won on the tie-break as Grigor and Ryan lost three points on the serve. 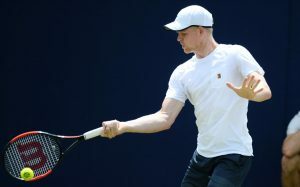 The current British number one is Kyle Edmund. The third set started and Grigor and Ryan opened the scoring this time, however, the set was again won by Kyle and Neal. 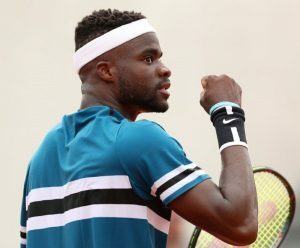 Result: Frances Tiafoe defeated Jared Donaldson by 6-4, 7-6(4). The American, Jared, took the lead in the first set and sealed the victory at 6-4. In the second set, there was a tough competition between the two Americans with the set reaching a tie-breaker as the score was equalized 6-6. Frances again won the set on the tie-break and booked his name into the next round. Result: Marin Cilic defeated Fernando Verdasco by 6-3, 6-4. 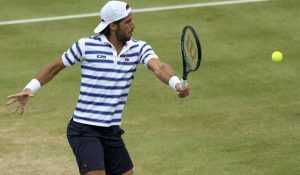 An outclass performance was witnessed of Marin and Verdasco. The Croatian, Marin, was in the lead from the start in the first set, which he kept extending although Verdasco did recover. Marin eventually won the set by 6-3 as Verdasco lost some points on the serve. In the second set, the Spaniard opened the scoring with the match becoming more tougher as both the players were scoring points at a fast pace. At last, Marin played a very brilliant backhand shot and won the second set by 6-4. Marin Cilic made it to the round of 16. Result: Oliver Marach and Mate Pavic defeated Feliciano Lopez and Marc Lopez by 6-4, 6-7, 10-7. From start of the first set, Oliver Marach and Mate Pavic opened the scoring by some good forehand shots. Finally, Oliver Marach and Mate Pavic won the first set by 6-4. In the second set Oliver and Mate again took the lead with the set becoming a tie-breaker at 6-6. But this time the Spaniards won on the tie-break as Marach and Pavic lost some points on the serve. Now it was all down to the third set which after a well fought set was won by Oliver Marach and Mate Pavic, who moved to the next round. Join allsportspk for the 4th day highlights of Queen’s Club Championships 2018.